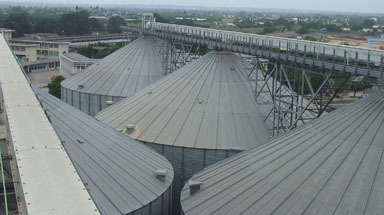 This site has three 27 metre diameter by 17 ring silos, each silo holding 10,000 of OSR/canola. 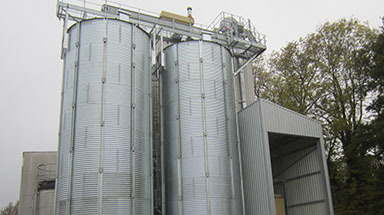 The silos are part of a transhipment plant and are filled and emptied every 10 days. 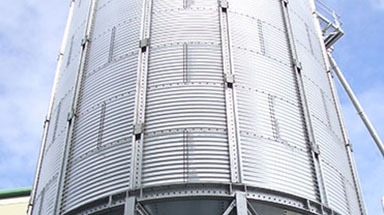 This high rotation would be too much for most silos but due to the high engineering standard of the Bentall Rowlands silos this is no problem. 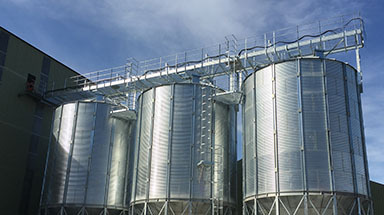 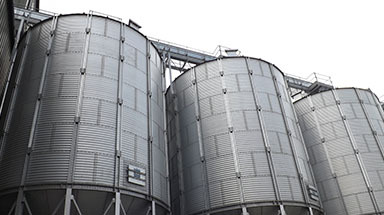 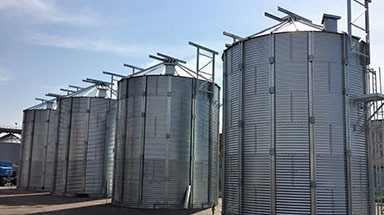 Since these silos have very high usage maintenance and down time must be kept to a minimum. 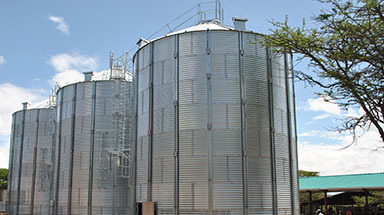 The silos are fitted with large scaffold access doors to allow quick and easy access. 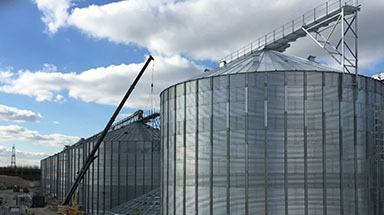 To reduce waiting time when trimming the silos they are fitted with high capacity industrial sweep auger assemblies. 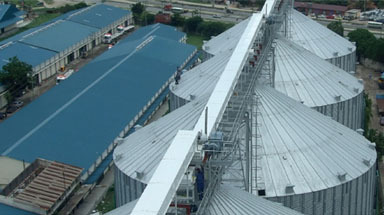 These sweeps are manufactured with the motor underground so it can be accessed from the main tunnel. 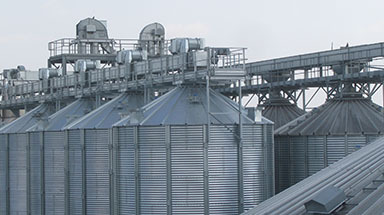 This customer required a temperature monitoring system that could be integrated with their scada control system and we worked closely with their electrical engineers to achieve this.